Can’t wait to listen to music on your new iPod or MP3 player but frustrated finding what you want? Stop Searching and Start Listening with Dr. Rock’s Playlist Vault. The Best Rock and Pop Songs of the 60s, 70s and 80s Organized for Easy Download to Your iPod or MP3 Player. Forget the grueling hours searching iTunes for the top Rock and Pop music. Spend more time listening to your dose of the best music ever made! Dr. Rock’s Playlist Vault is now available in paperback and you’ll be amazed at how easy it is to access the top rock and pop tracks of the 60s, 70s and 80s. Over 5,100 songs organized the way you remember them. And the best part is, nearly every song is available through our companion website, www.DrRock.com for immediate download. Dr. Rock organized all 262 playlists in three different categories: 201 Essential Artists, 3 Decades, and 30 Years. The book is a unique and handy reference guide to the artists and their top songs, the best songs of each year, and the best rock and pop tracks of the three decades. This section includes from 10 to 25 tracks of the top rock and pop artists and groups of the 60s, 70s and 80s ranked in descending order. 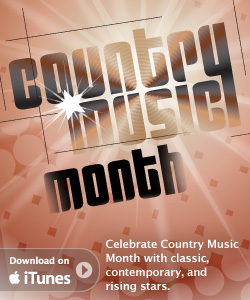 Own the best songs from your favorite artists, from ABBA to ZZ Top and hundreds more in between. And you don’t have to look all over iTunes to find the songs you remember (and many you don’t). They’re right here and ready for download. The 201 "essential" artists encompass every genre of rock and pop music, from the gritty 60s blues-rock of The Animals to the lighter 70s country-rock of the New Riders to the 80s arena-rock of REO Speedwagon. Inside Dr. Rock’s Playlist Vault are up to ten, 50-song playlists for each decade, organized chronologically and sampling the best songs from AM Pop, Classic Rock, One Hit Wonders, and much more. And Dr. Rock’s playlists aren’t just the #1 hits. You’ll find ample doses of B-sides and hundreds of “rock gems” you might long-ago have forgotten. Classic Rock from the 60s? Try 100 unique tracks in chronological order! Schmaltzy 70s Elevator Music? We got you covered with 50 tracks! 80s Light Rock? Dr. Rock’s built a ready-to-go playlist with 50 great songs! The best tracks for 30 years, from 1960 thru 1989, are listed in the order they would have been played and heard back then on a free-format FM station (or on AM for Elevator Music and AM Pop playlists). Each playlist is a flowing set of great songs that glides in and out of varying genres, never repeating one artist. With the broadest possible review of that year’s best sounds, they are a treasure trove of rock and pop music. Looking for playlists for a special event, birthday party, or wedding? Want to relive the music of the year you graduated from high school? You’ll find 50 great tracks for every year during the 60s, 70s and 80s ordered in a radio-style playlist. The best music ever made is right at your fingertips and a few mouse clicks away! Dr. Rock, chief musicologist at DrRock.com, is a 50-something former DJ and lifelong lover of rock and pop music. He’s a recovered vinyl junkie (remember “cut-out” bins?) and now an MP3 addict whose music collection includes thousands of records, CDs, and MP3 files. 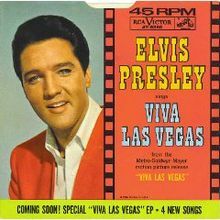 As a pre-teen, he listened to Dan Ingram and Cousin Brucie on WABC-AM in New York and bought 45s at a local music shop in New Jersey. In high school and college, he did gigs and helped manage low-power FM stations. Off air, he listened to the great FM album rock stations like WBCN (Boston) and WNEW (New York). He later spent several years as a disc jockey on free-format, album-oriented rock (AOR) stations around New York State. Easily relive those great memories. The playlists in this one-of-a-kind handy reference guide are all on Dr. Rock’s website, www.drrock.com. Just find the lists you like and click. iTunes will open automatically and display the playlist you chose. Then select individual songs or download the entire list for your iPod or MP3 player. In a few short minutes you’ll be listening to the best music ever made!